Osram has expanded its portfolio of proximity and ambient light sensors with an extremely powerful version with low power consumption. The compact SFH 7776 sensor registers the ambient brightness even behind dark smartphone covers and prevents unintentional responses from the touch screen during telephone calls. This makes it even easier for smartphone designers to control the backlighting and touch functions of displays. 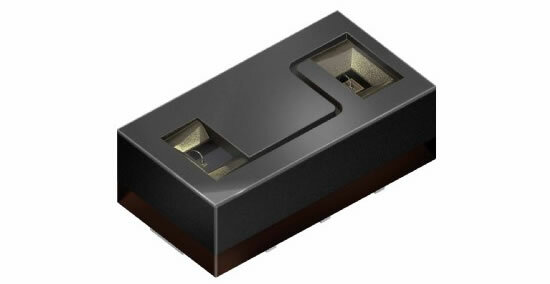 The Osram digital SFH 7776 sensor contains an infrared LED (IRED) and two detectors and performs two different functions. It registers the ambient brightness in order to control the display backlighting so that it can always be easily read but consumes as little power as possible. It also deactivates the touch function on the display as soon as you hold the phone up to your ear during a phone call. To do this the sensor emits infrared light that is reflected by approaching objects, such as your ear. With a working range of up to 16 centimeters and its small size, the SFH 7776 has been designed specifically for use in smartphones and other mobile devices. With its black casing the sensor is virtually invisible even behind transparent phone covers. Its low power consumption is also an important factor in terms of its suitability for mobile devices – in standby mode it only needs 0.8 mA.